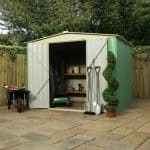 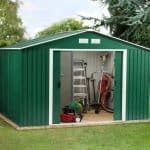 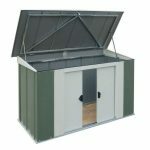 This metal shed has plenty of features that make it an attractive addition to your garden. 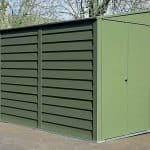 One of the best things about the building is the galvanised steel construction that it comes with. 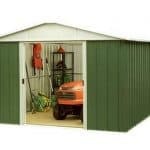 This is tougher and stronger than most sheds, and assures you that you have a building that will last for longer and will also provide a more natural protection against rust. 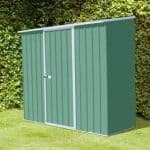 There are sliding double doors that provide instant and full access to the interior. 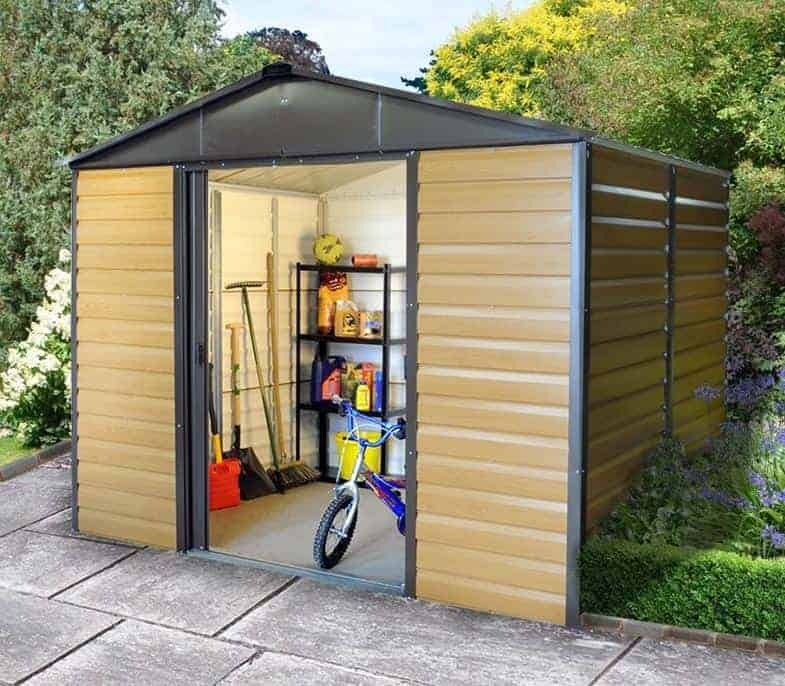 In addition, you also have the shiplap cladding that adds even more protection because it allows rainwater to simply bounce off the building.